When you want a hearty meal it doesn’t have to be complicated! 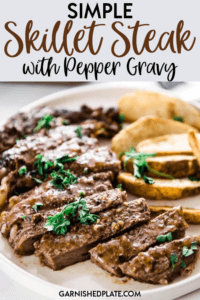 Making a simple skillet steak with pepper gravy is a quick and easy way to get a delicious meal on the table! 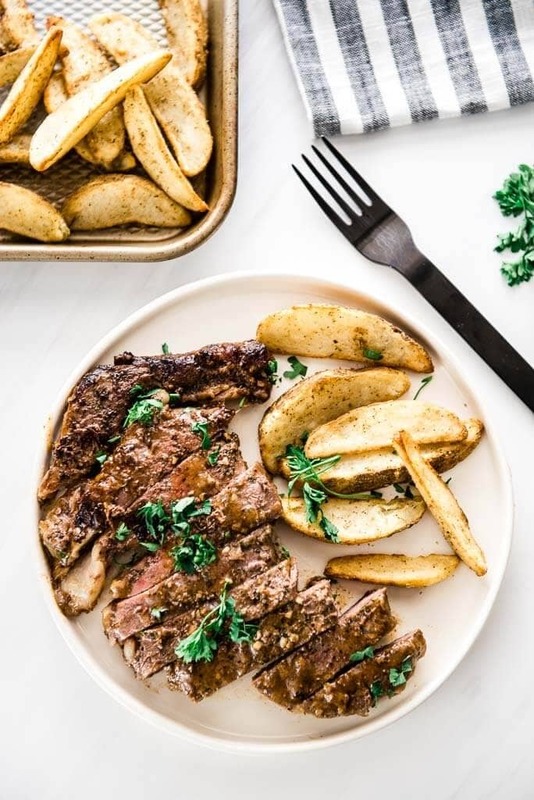 My family simply loves steak and for that reason, I love it too! 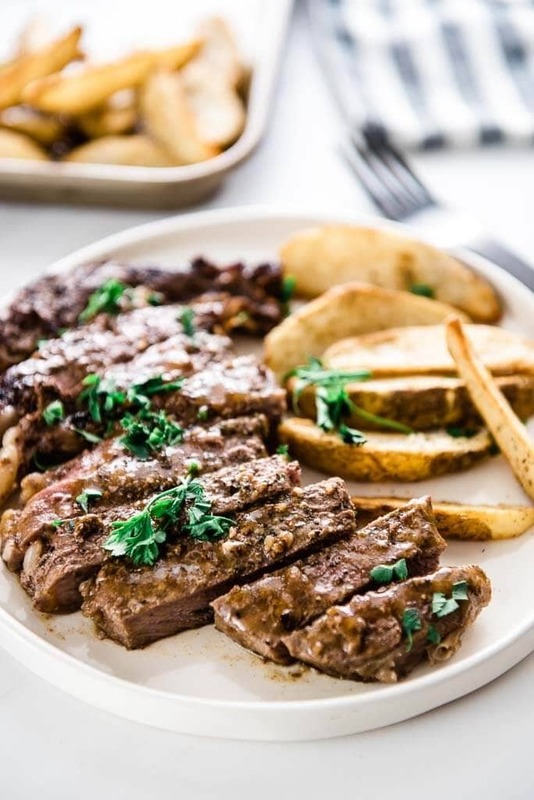 But for those days where I’d rather not fire up the grill, this Simple Skillet Steak with Pepper Gravy is the ticket to a simple but delicious dinner that everyone will devour. Making steak in a cast iron skillet takes a bit of practice but will yield deliciously easy results. 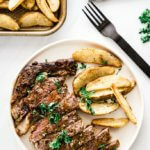 Which steak is best for pan frying? Any of these would be great options! In fact, sometimes I will even make a strip steak in my skillet. But for this time, I had ribeyes on hand, and you just can’t go wrong with ribeye. 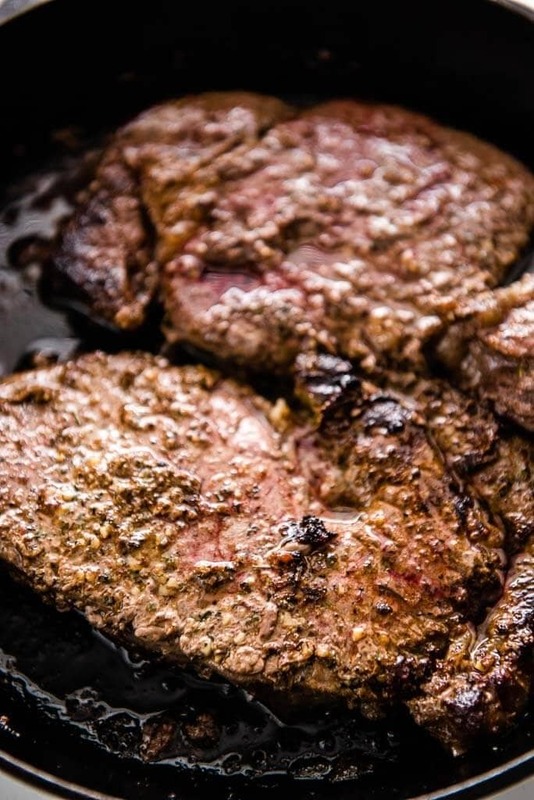 Now… how do you cook steaks in a cast iron skillet? start by getting the skillet nice and hot! 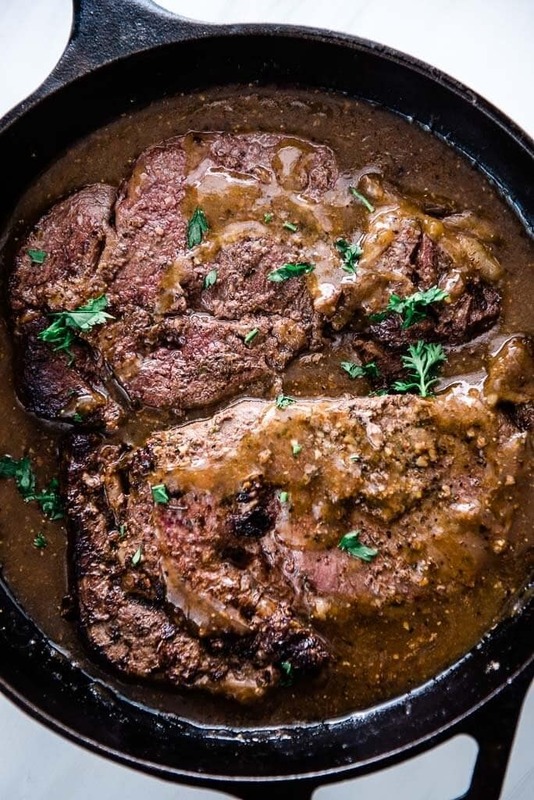 And of course, you just can’t have a skillet steak without a delicious pan gravy! 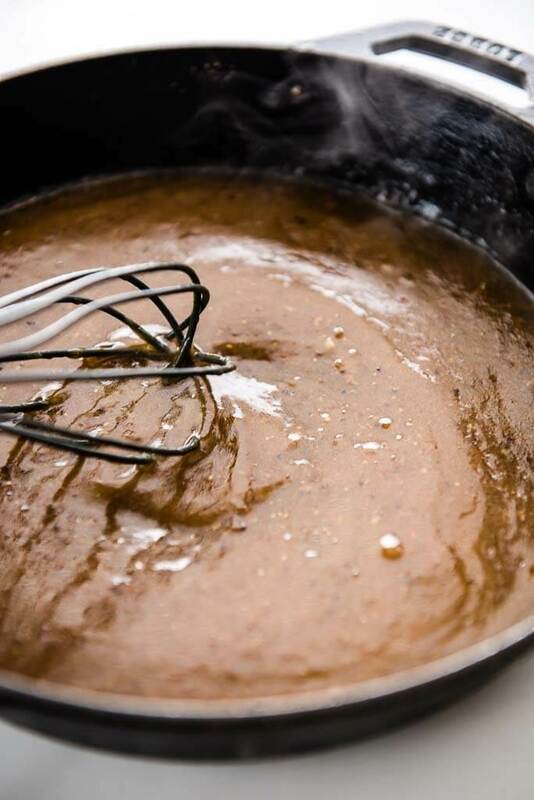 How do you make pan gravy?